Chairman Cantwell, Ranking Member Thune, distinguished members of the Subcommittee; my name is Pete Bunce and I am the President and CEO of the General Aviation Manufacturers Association (GAMA). 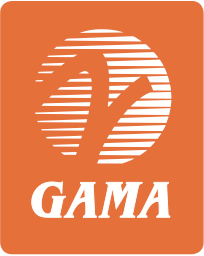 GAMA represents over 75 companies who are the world’s leading manufacturers of general aviation airplanes, rotorcraft, engines, avionics, and components. Our member companies also operate airplane fleets, airport fixed-based operations, as well as pilot training and maintenance facilities worldwide. Thank you for convening this hearing and providing me the opportunity to testify on the global competitiveness of the U.S. aviation sector. General aviation (GA) is an essential part of the national transportation system in the United States and in many countries around the world. It is especially critical for individuals and businesses that need to travel and move goods quickly and efficiently in today’s just-in-time market. It is also a necessity for rural communities that do not have commercial air service. Equally important, GA is a significant contributor to economies around the world. For example, in the United States, GA supports over 1.2 million jobs, provides $150 billion  in economic activity and, in 2011, generated $4.6 billion  in exports of domestically manufactured airplanes. It is also one of the few manufacturing industries providing a positive balance of trade for the United States. Many of these jobs are highly skilled, well paid positions and our companies are located throughout this nation: from Seattle to Albuquerque, Wichita to Little Rock, Cedar Rapids to Savannah. Since the 2008 recession, the global general aviation manufacturing industry has experienced a real and substantial decline in airplane sales. The recent peak of 4,276 deliveries in 2007 was followed by a decline to 1,942 airplane deliveries in 2011 for the same set of companies. The most drastic decline is for small, piston engine aircraft which have declined from 2,755 to 886 units in 2011, a reduction of 68 percent. Employment figures at these companies reflect this decline with job losses in total for GAMA member companies at roughly 15 percent. These economic challenges and changing market dynamics have broad implications for the industry. Increasingly, U.S. manufacturers need to compete across the globe to maintain and strengthen sales, and have continued to invest and innovate. Many countries have indicated an interest in developing the general aviation industry both in terms of operations and manufacturing. Makers of U.S. engines and avionics and other components are strongly positioned in equipping both U.S. and aircraft manufactured in other countries. The business environment, already competitive and global in nature, has become even more complex. This requires the U.S. government and manufacturers to adapt and respond to marketplace changes and challenges. I want to applaud and thank the leadership of this Committee and others in Congress for responding to these challenges both in the FAA reauthorization bill, and in subsequent measures, but much remains to be done. The considerable effort by this Committee to pass the FAA bill was worth it for the changes it outlines that can benefit industry competitiveness but it is imperative that you continue to hold FAA accountable for implementing the changes outlined in the legislation. Our companies cannot bring new product to market without FAA approval. We cannot overemphasize the importance of FAA certification to growth and sales in the global aviation industry. Unfortunately, FAA resources simply cannot keep up with the pace of industry activity and inefficiencies in FAA certification processes have led to missed business opportunities that restrict industry growth and have even led to missed business opportunities. FAA continues to employ a sequencing process where new products wait in line to even begin the certification process. Delays in beginning a certification project can range from one to eighteen months depending on the product and FAA’s capacity to take on new work. In addition, the lack of FAA engineering and technical resources necessary to support ongoing programs often results in delays and additional costs. The inability of FAA to support aircraft certification programs in a timely and efficient manner significantly impacts manufacturer and supplier company decisions to invest in new projects, expand facilities and increase employment. Not knowing when or even if the FAA can start a new certification project is a significant problem because these development programs require financial commitments and planning long before, sometimes even years before, a formal application is made to the FAA. This problem will become more acute as the need for FAA certification to support NextGen technologies and equipage increases. In addition, delays in FAA certification put U.S. manufacturers at a competitive disadvantage as foreign companies can obtain more efficient certification from their national authorities and get their products to market sooner. We can address these delays through improvements in the effectiveness and efficiency of FAA certification processes. In the FAA Reauthorization process, Congress lent considerable support to these improvements such as effective use of delegation programs and increasing system safety oversight. We have been encouraged by Acting Administrator Huerta’s responsiveness to this issue but similar efforts have eventually failed to realize their potential in the past. If the U.S. is to maintain leadership in the aviation industry and grow contributions to U.S. exports and jobs, both in the commercial and general aviation sector, we must ensure that FAA has adequate resources and that significant certification process improvements are implemented. As exports grow and more of our companies and customers reside in every part of the world, the need for GAMA companies to maintain a strong service presence increases. Our manufacturers need the ability to have service and maintenance facilities where products are being sold. Today, there is a substantial impediment to being able to meet this objective. For almost ten years, the Department of Homeland Security and Transportation Security Administration have failed to respond to a congressional requirement to promulgate aircraft repair station security regulations. In 2007, in an attempt to spur action by these agencies, Congress barred FAA from issuing new repair station certificates for overseas facilities until the rule is finalized. This has meant that as new markets develop, our companies have been hindered in opening facilities to support their products. This has made U.S. industry less responsive and less competitive as these opportunities emerge. Our companies stand ready to meet the security requirements – we just need to know what they are. We have appreciated those on this committee who have pushed for action by the Administration in finalizing the rule. Unfortunately, we continue to need strong engagement from Congress to ensure this rule is finalized as soon as possible. As manufacturers try to take advantage of more markets, issues like aviation infrastructure, tax policy, airspace management, and relations with aviation regulators become even more important. It is critical for U.S. government and industry to advocate for policies that will help underpin aviation growth in the global environment. In this regard, we strongly support the efforts of the Department of Transportation to develop an initiative with its partners in the Asia Pacific region to facilitate the operation of business aviation in these emerging economies. The U.S. Trade and Development Agency is also supporting this initiative through a “reverse trade” mission to bring aviation officials from six Asia Pacific economies to the U.S. later this year. Despite this initiative, we remain concerned about the Administration’s proposals regarding general aviation. Efforts to weaken our network of general aviation airports through funding cuts or by placing ill-advised user fees on the industry has negative ramifications for operators in the U.S. In addition, it sends a negative message to other governments and regulators as they work to expand their domestic markets. User fees have weakened general aviation in Europe and elsewhere and for the U.S. to be considering such proposals at a time when deliveries are already suffering is ill-advised. We have appreciated Congress consistently rejecting user fees because of the negative ramifications for communities, safety, and jobs. Underlying the discussion about certification, repair stations, and market growth is the importance of U.S. leadership in global aviation safety. The ability for U.S. manufacturers to export aviation products to the global market depends directly upon FAA’s international certification activities and agreements with foreign civil aviation authorities. The FAA and Department of Transportation (DOT) and other departments of government must step up their efforts if we are to grow exports in general and commercial aviation. Furthermore, as markets develop overseas, the importance of FAA being able to work with other aviation regulatory bodies to adopt or at least accept U.S. safety standards and to develop bilateral safety arrangements to efficiently accept U.S. products becomes even more of a necessity. There is a great danger that support for these efforts will decline and this loss of FAA involvement in international aviation activities will hinder the development of safe and robust aviation transportation systems and the export of U.S. products and services. That is part of what is so concerning about the repair station security rule situation. As FAA is forced to sit on the sidelines because of DHS and TSA inaction, repair stations conducting work on non-FAA certified aircraft are able to receive certification from European or other authorities. These regulators are in a position to set global standards as new repair stations are certified in growing areas, creating an environment where FAA is diminished as a regulator. We have also been puzzled by politically motivated attacks in the U.S. on our industry. If we are to maintain jobs and grow exports, we need a government that supports the dedicated men and women of our industry. These attacks hinder growth and send the wrong message in the U.S. and abroad regarding the benefits of general aviation. The Administration needs to more consistently recognize the positive value of general and business aviation and work to support its recovery and growth. To ensure sustainable growth in the industry, general aviation manufacturers recognize we must take action to improve the environmental performance of the industry. Our industry has taken a leading role in the development of a CO2 standard for new aircraft at the International Civil Aviation Organization (ICAO). GAMA member companies and others in the industry have in fact developed the first sector-specific carbon reduction commitments. These commitments require considerable investment by manufacturers and others to reach our environmental goals. While there are many objections that can be leveled against the European Union’s (EU) Emissions Trading Scheme (ETS), the most damning is that it takes resources away from the aviation industry that could best be invested by the industry into research or technologies that improve aircraft efficiency. We have very much appreciated Senator Thune and Senator McCaskill’s leadership in introducing legislation against the EU ETS scheme and also Chairman Cantwell and others willingness to give the Administration the political support and tools necessary to push the EU to end its unilateral and misguided approach. GAMA also supports efforts to develop alternative fuels by the United States military because we believe they will reduce the cost of these fuels and ultimately decrease our reliance on foreign oil. We are concerned about language in the National Defense Authorization Act that would restrict DOD’s ability to move forward on biofuels. The work by the Department of Defense is being leveraged to move more quickly toward commercial viability of alternatives by demonstrating large scale production as well as making the price more competitive. This will help aviation industry meet its environmental commitments. Furthermore, we are convinced that this is an investment that will pay off by saving taxpayers millions through achieving energy security and independence while enhancing national security. To remain competitive, GAMA member companies undertake a range of activities to engage students from the elementary school level through college. Some companies run programs that take students from local community colleges and universities and offer them summer jobs and the promise of a job upon graduation. Many are also actively recruiting and hiring veterans due to their work ethic and unique skillset. We want to attract the best and the brightest to our industry. A key domestic challenge will be to address the need for the United States to replace an aging science and engineering workforce. In addition, industry projects more than a million pilots and maintenance personnel will be needed to meet the demand of the worldwide aviation workplace in the next two decades. Following the recommendations of the Future of Aviation Advisory Committee set up by Secretary LaHood, we would encourage the Department of Transportation to develop and implement a strategic workforce development plan that includes Science, Technology, Engineering, and Mathematics (STEM) education programs and activities for the current and future workforce. Furthermore, the Interagency Aerospace Revitalization Task Force established in 2006 should be reinvigorated to coordinate federal resources throughout the government to implement a national strategy to recruit, train, and cultivate a world class aerospace workforce. As in workforce development, strong research and development programs are conducted by GAMA companies to ensure they remain competitive and can bring new technology and products to market. We support extending and making permanent the Research and Development Tax permanent to further these programs. This is the minimum that should be done given the U.S. was once a leader in encouraging research and development and we are now behind 23 other Organization for Economic Cooperation and Development (OECD) nations in providing research and development incentives to the private sector. Chairman Cantwell, thank you for providing me the opportunity to discuss with the subcommittee an overview of the competiveness of the U.S. Aviation Industry. Our industry has faced many challenges in recent years but we believe that our industry will continue to recover and grow and we look forward to working with you, Senator Thune, and others on this subcommittee and in Congress to further general aviation manufacturing.